Well, hello there! I’m Kristina, and I'm just delighted you’re here. Woohoo, content strategy! My company Brain Traffic created this site primarily as a resource for anyone interested in making the world of digital content a better place. If there's anything else you’d like to see included here, drop us a line and let us know! As for me: I’m a nonstop advocate for content strategy, and I speak regularly at conferences and organizations about its value and inner workings. If you’d like to chat about an opportunity, you can reach me via our contact form. Kristina was instrumental in establishing content strategy as an essential practice for agencies and companies across every industry. Her seminal article, The Discipline of Content Strategy, was published in 2008 by A List Apart, the world’s most popular online magazine for web professionals. She also initiated the 2009 Content Strategy Consortium, which was the first official gathering dedicated to the topic of content strategy. In 2001, Kristina founded Brain Traffic, one of the world's first and foremost content strategy consultancies. Brain Traffic's clients have included 30 of the Fortune 100 companies, as well as beloved brands and institutions around the world. Kristina’s book Content Strategy for the Web was the first book published on the topic. Today, Content Strategy for the Web is considered the “gold standard” for content strategy literature and is credited with creating the foundation for what is now a rapidly evolving industry. Kristina is the founder of Confab, the first U.S. conference dedicated to the topic of content strategy. The conference debuted in May of 2011, selling out several months in advance and attracting attendees from all over the world. She also regularly conducts online seminars about content strategy, and works closely with Fortune 500 companies as both a speaker and consultant. As host of The Content Strategy Podcast, Kristina speaks with content experts from all over the world in lively conversations that explore how content strategy can help businesses in every industry. Onstage, Kristina is a celebrated speaker, well-known for her humorous, practical, and inspiring talks. She has appeared as a featured speaker at over 100 conferences around the world. Kristina's articles and interviews have appeared on dozens of blogs, podcasts, online magazines, and other media. 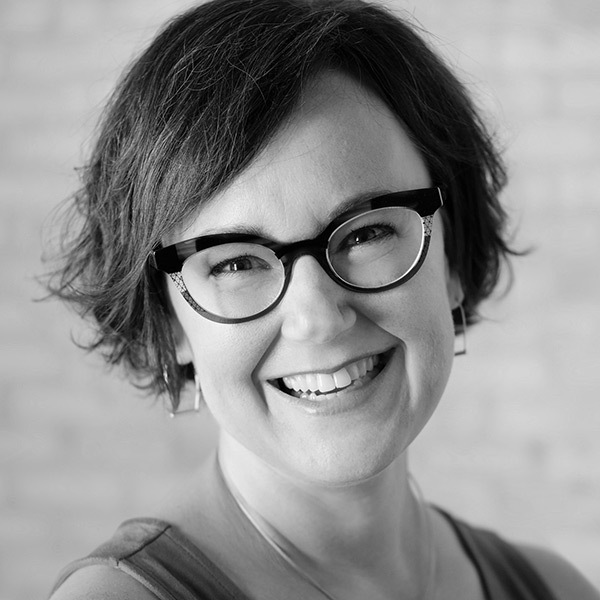 Kristina lives in St. Paul, MN with her two children, whom she often quotes on Twitter (@halvorson). Want to talk to Kristina about a project or speaking opportunity?